Hey, it's time for the weekend update. Why? Because already all our bands are on the road! -> The Copyrights are with Not Scientists today in Morthormiers! Until Sunday they will be in Clermont Ferrand and Toulouse. -> It's RUTS D.C. time! Don't miss them in Düsseldorf / Haus der Jugend with The Tips ! Muttis Booking has got a new family member. REACTORY from Berlin, Germany. And they are our favorite thrash metal band! Check them out! They are pretty awesome! Tomorrow they will the stage at Metal Hammer Awards! Don't miss this if you love metal music! Stagetime for Reatory is 21.05h! And again - Hello Reactory. Nice to have you with us. Friends come around! We are really looking forward to this show! 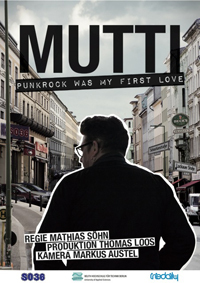 Doors at 20.00h! Not Scientists hit the stage at 22.00h, The Copyrights at 23.00h! BONSAI KITTEN released a new video! Take it easy but take it! Watch this great acoustic video of The Roughneck Riot playin "All That We Know"! We will announce the dates of their October / November Tour very soon! Stay tuned! Saturday, August 30th 2014 // at Gleispark in Berlin. DON'T MISS THIS & COME AROUND. 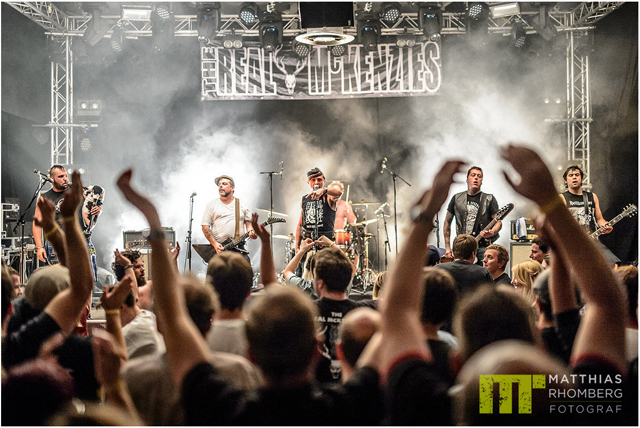 After six weeks of touring through europe The Real McKenzies are back home with a big hungover and jet lag. Thank you guys for this crazy time. See you soon, hopefully! Furthermore we would like to thank all promoter, festivals and of course all the fans who came around.